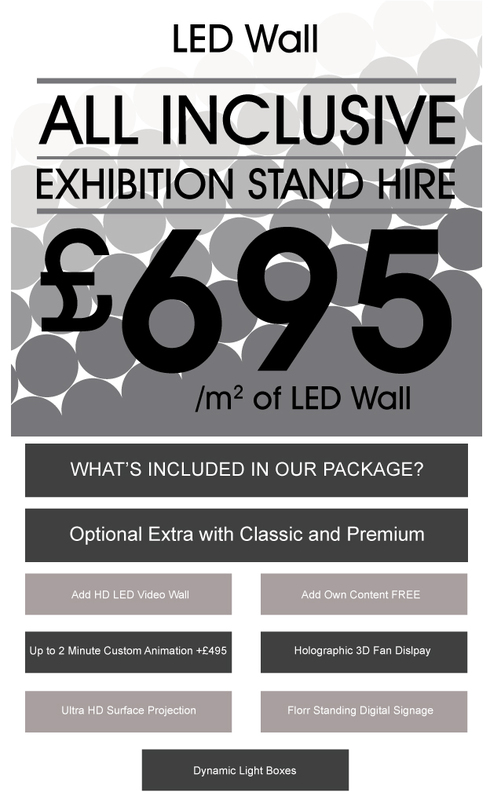 ELG have made the exhibition stand hire process simple, quick and Instant by fixing the price, and including EVERYTHING! 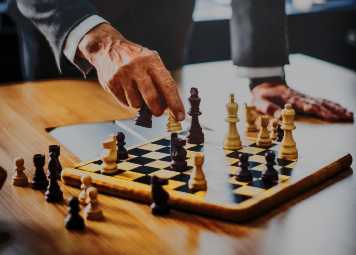 From start to finish Extra Large Group provide everything that you need for a successful exhibition, and we do so quickly, with the minimum amount of hassle possible for you. Our packages really make everything as seamless as possible. 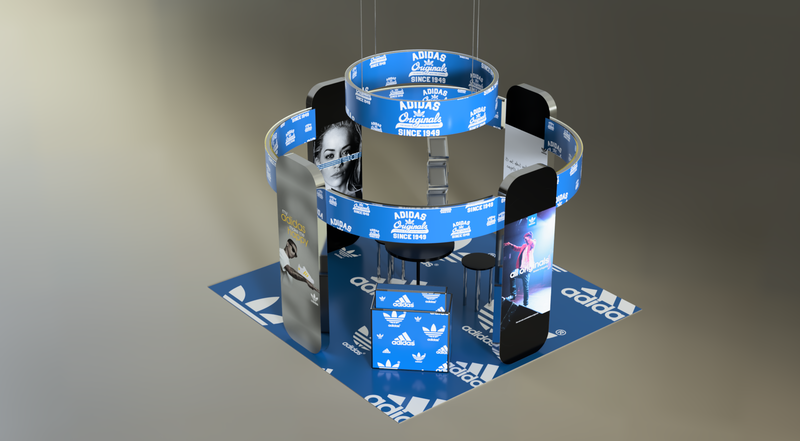 We know exhibiting can be stressful and without the right help can be more extremely difficult, especially when you are trying to make an impact and generate notice in your brand, so we make sure that our exhibition stand hire is easy, accessible all while being the highest quality around. 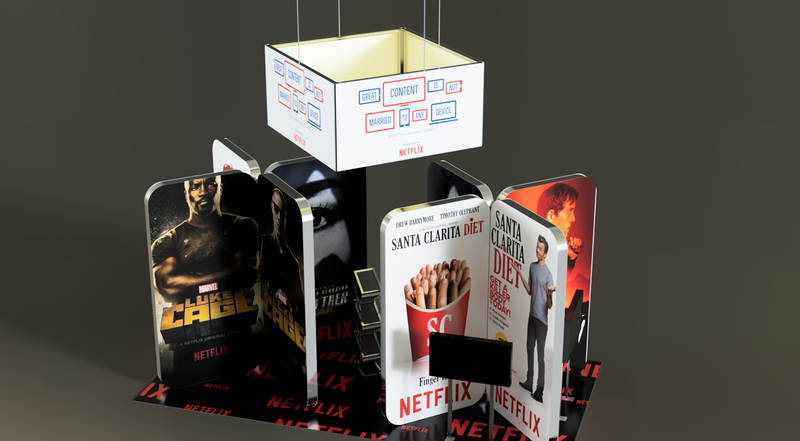 At the heart of what we what we do is the customer, we prioritise making sure that our exhibition stand hire services fill the needs that you have, building packages around regular needs in regards to exhibition stand hire anywhere within the England and the UK. 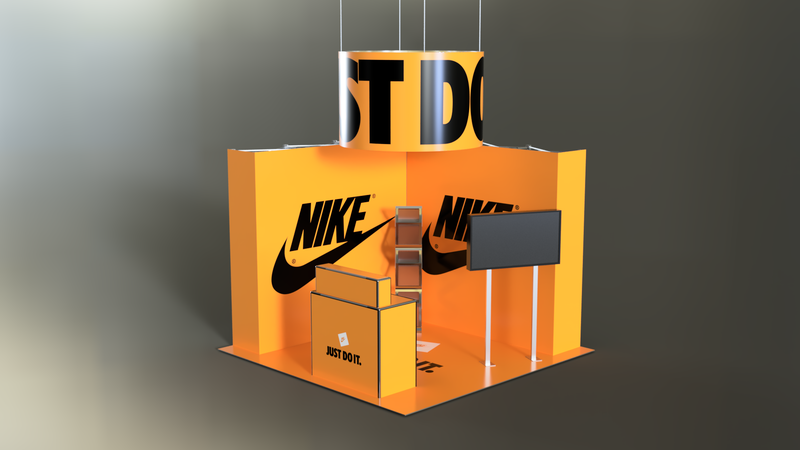 As part of every exhibition stand hire package we offer, we provide design and 3D rendering, textile graphics, raised flooring, and other extras such as furniture, printed floor covering, and the proper documentation to make sure that everything is above board. 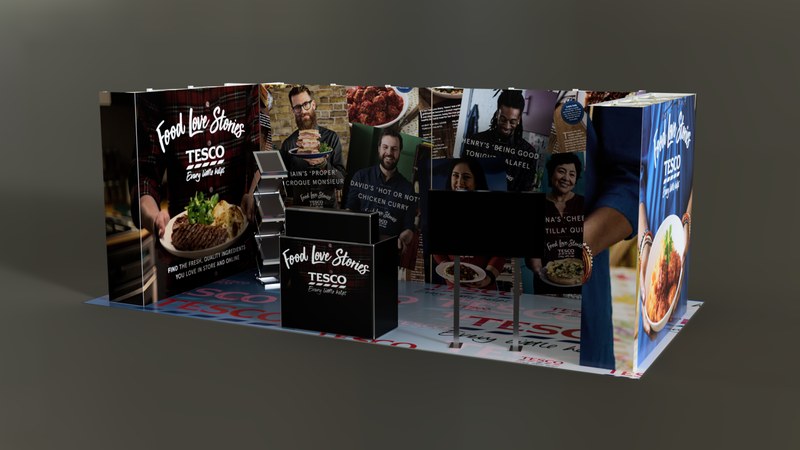 We take proud in what we produce, so you can be confident that we’ll go the extra mile with any exhibition stand you hire from ourselves, will have our hardest efforts put into it, just so you can curate a space that truly stands out in any exhibition setting. The only things we do not include as standard in our pricing are onsite costs such as electricity, water, telephony and computers / tablets. 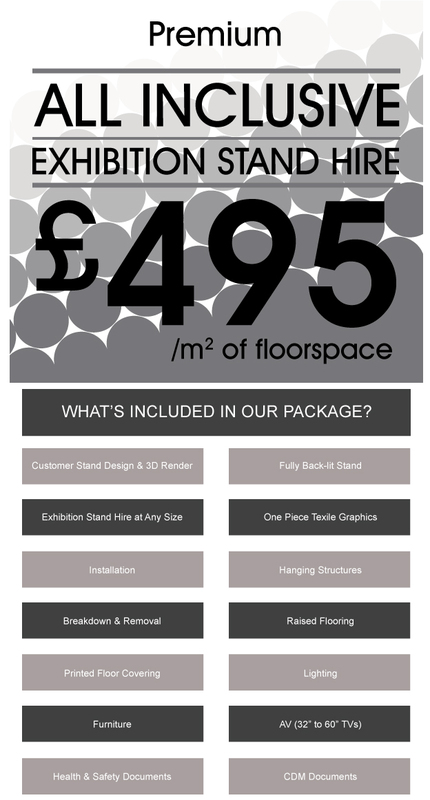 So if you’re looking for the highest quality exhibition stand hire service in England and the UK, you’re in the right place. 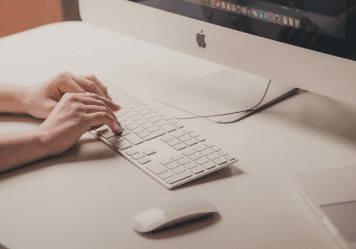 Browse the catalogue for inspiration and some ideas or miss this step and go straight to the Quick Brief. 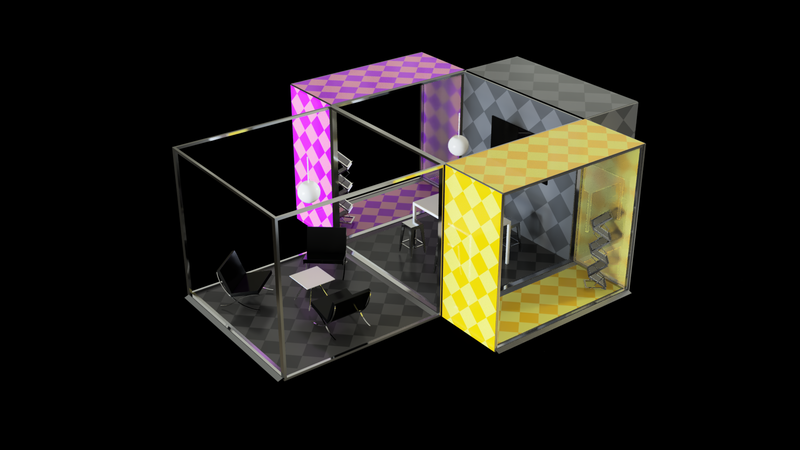 Complete and submit the quick brief telling us what you want for your stand so that we can get as close as possible to your perfect design. We will amend any of your designs to get it just right for you based on your feedback, open communication and our expertise and experience. 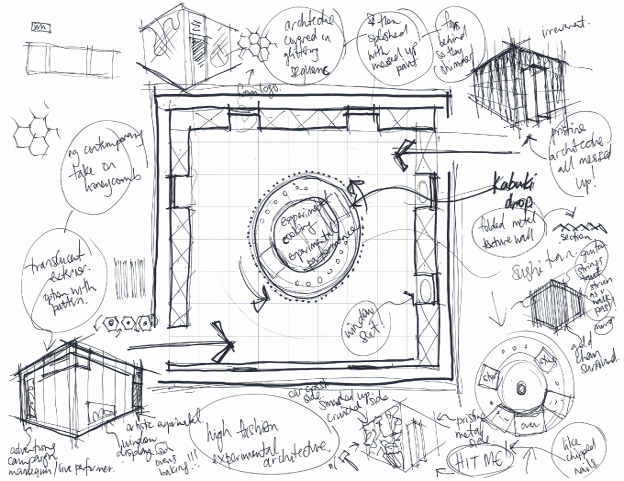 Once the stand design is agreed, we then provide artwork templates to make the process simple. You just have to submit your artwork. 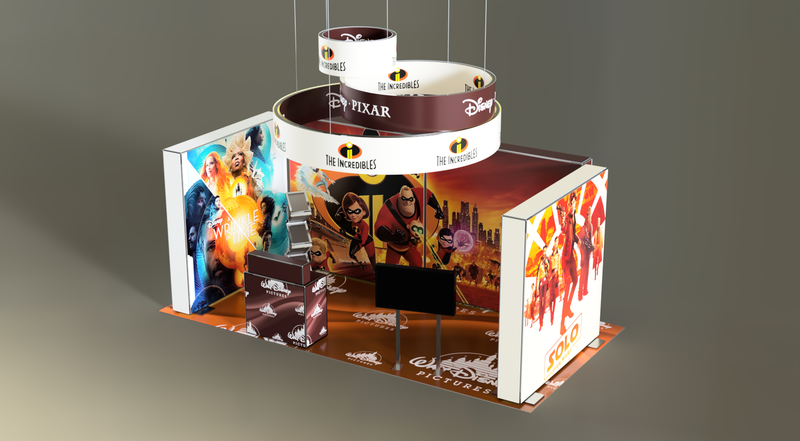 All our exhibition stands are designed from scratch with your requirements in mind. 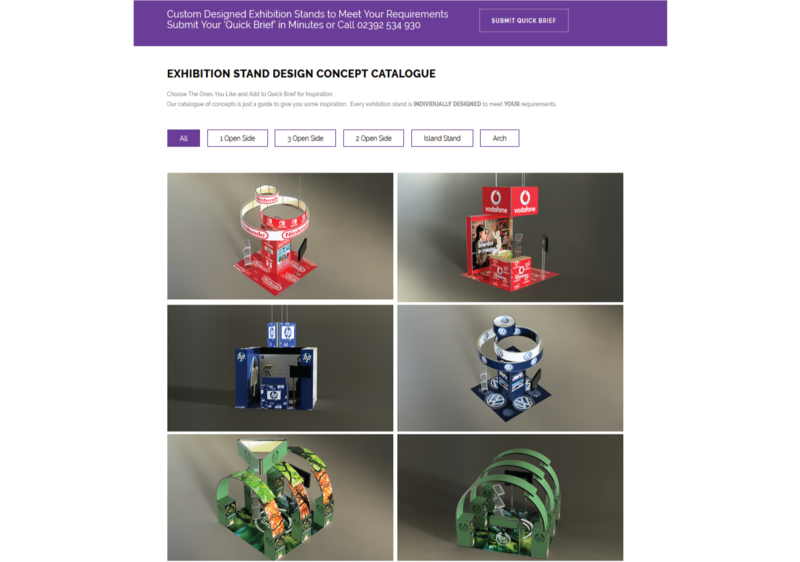 Our many years of experience has allowed us to publish a large catalogue of exhibition stand designs which act as inspiration for your stand. 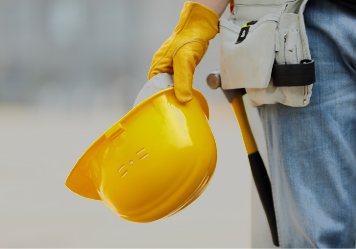 Our team of installers have many years of experience to ensure a perfect installation every time. We also remove everything for you ensuring that the process is as easy and simple for you from start to finish. Exhibition stands are generally large and bulky items that require specialist transport all the way to the exhibition floor. 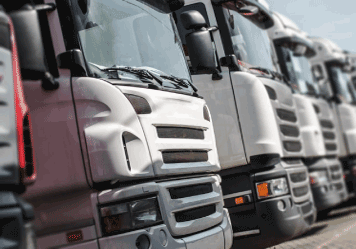 We transport all our exhibition stands ourselves using our fleet of dedicated vehicles designed for the job. There is a raft of documentation needed to attend an exhibition. 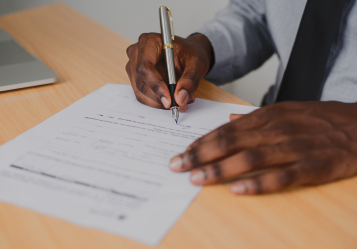 We complete all the relevant CDM health and safety documentation for you as well as provide the stand plans as required by all exhibition organisers. 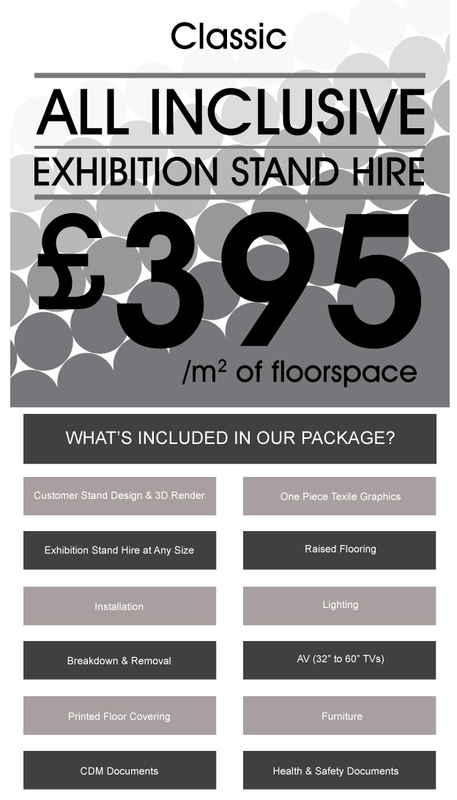 All our exhibition stands come complete with high quality printed graphics to your requirements. 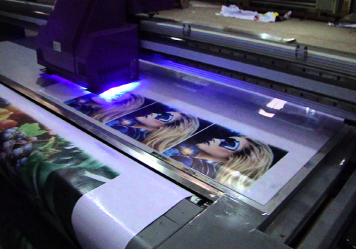 We provide you with all the templates to make it easy for you to supply the artwork to us. We then print and fit the printed panels ensuring a perfect fit. There are usually many moving parts to organising an exhibition. Our team of project managers manage the full exhibition stand project from start to finish leaving you to make the most of the exhibition itself! Already have an idea of what you want. Simply send us a sketch and let us design it for you!